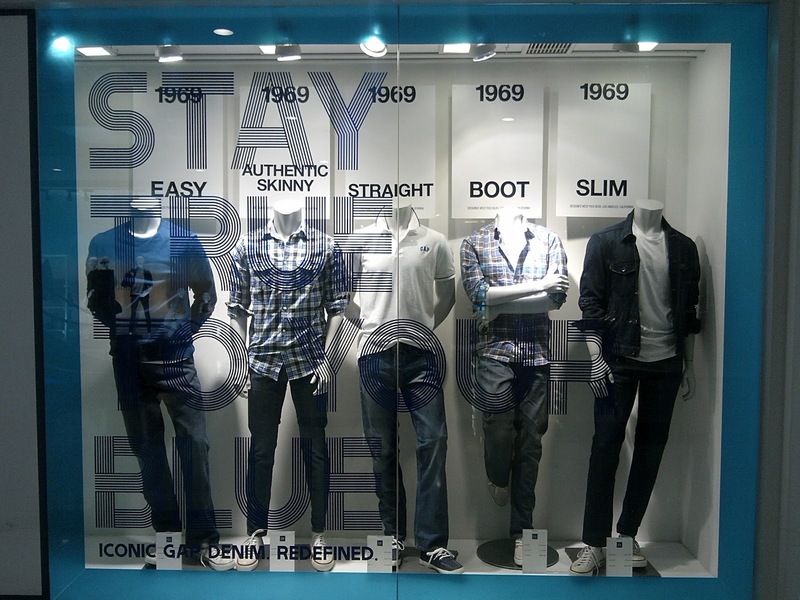 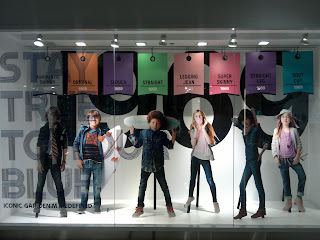 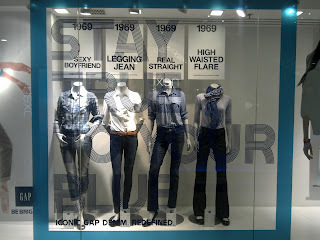 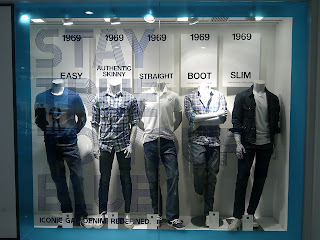 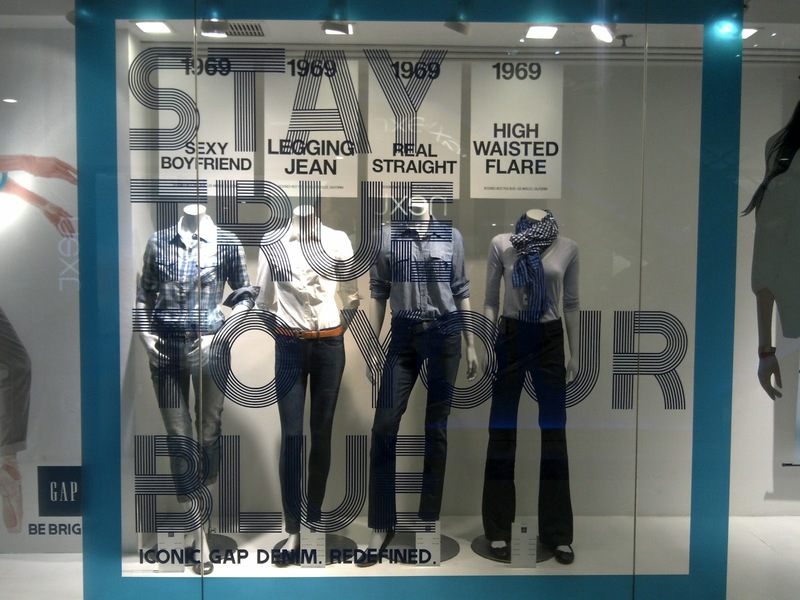 Gap make a very commercial straight-to-the-point window display design in promoting one of this brand's best-seller, blue jeans. 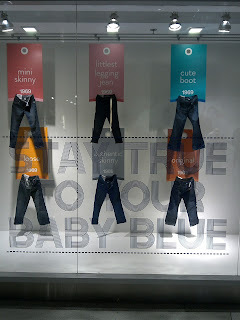 There are various cutting and design and shape for men, women, boys and girls, and even for children. Each of gender and age level is presented with creative and interesting outlook, not in a shallow way.